I just took the leap! My intention was to start small and edit smaller projects in Final Cut Pro X, until I started feeling more comfortable to make the switch and start using it consistently. But the rendering on this year’s Fifth Grade production of “The Nutcracker” was driving me crazy and I simply didn’t have time to wait for it. So, as I’ve mentioned before, that’s the biggest positive about this software, in my eyes: automatic background rendering while editing. That alone was worth the learning curve! So I did it. 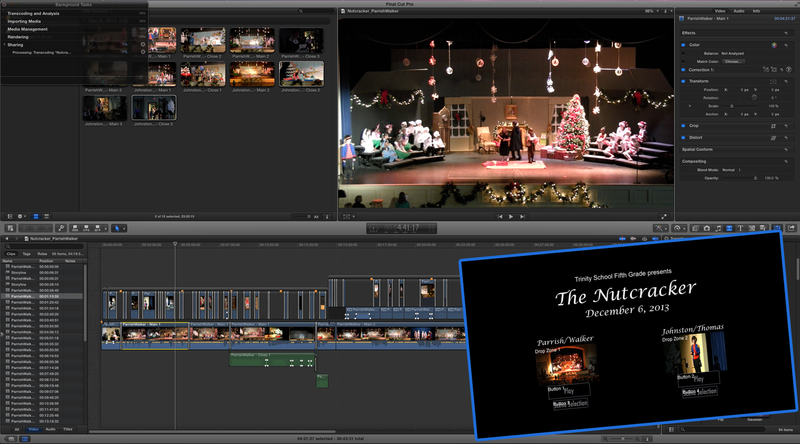 I just finished (yesterday) the master DVD for this year’s production of “The Nutcracker” using Final Cut Pro X! Overall, I have to admit that I really think I like it! The magnetic timeline is something to get used to, and I really have to pay attention, especially when there is separate audio to deal with. But I think I’ve got the hang of it. 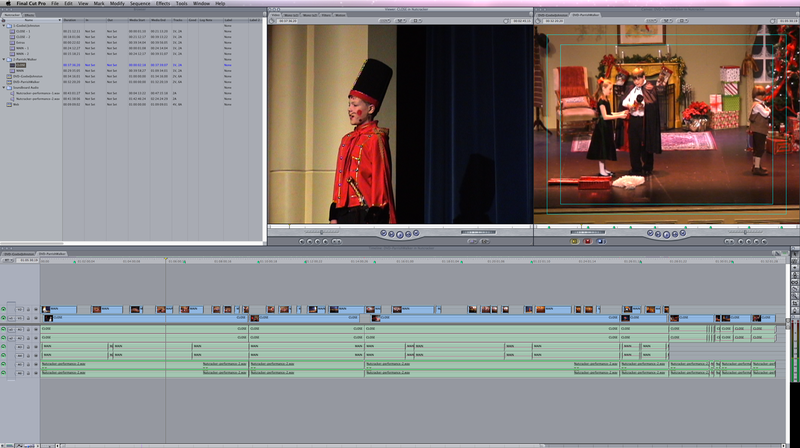 I love the color correction tools and the audio enhancements. My Final Cut Pro X instructor mentioned the possibility of blogging his experiences as he makes the full transition to this new platform. I’m not sure I have the patience for all of that, but this is a pretty huge step for me!